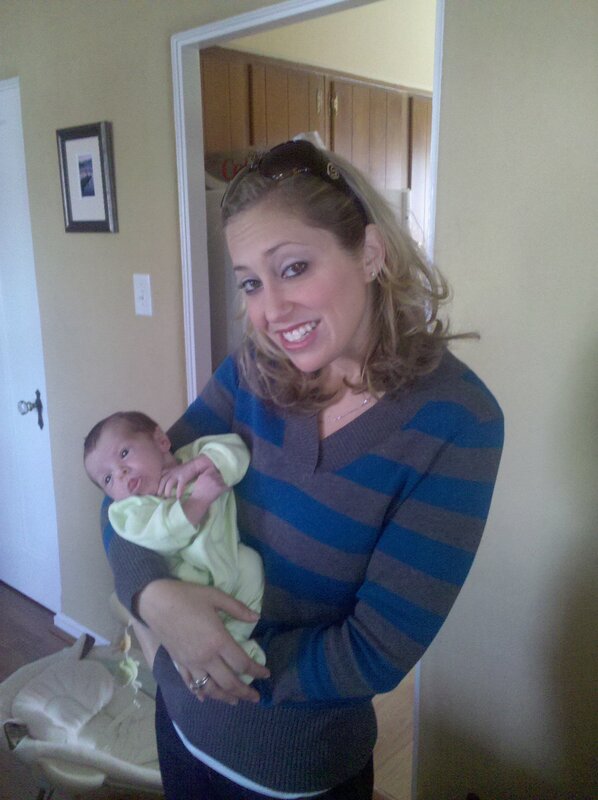 Last weekend, we went to Cincinnatti to meet our niece, Caitlin. She is beautiful! Just perfect! We ate ice cream at an awesome place called Graeter’s in the center of the cute little town. 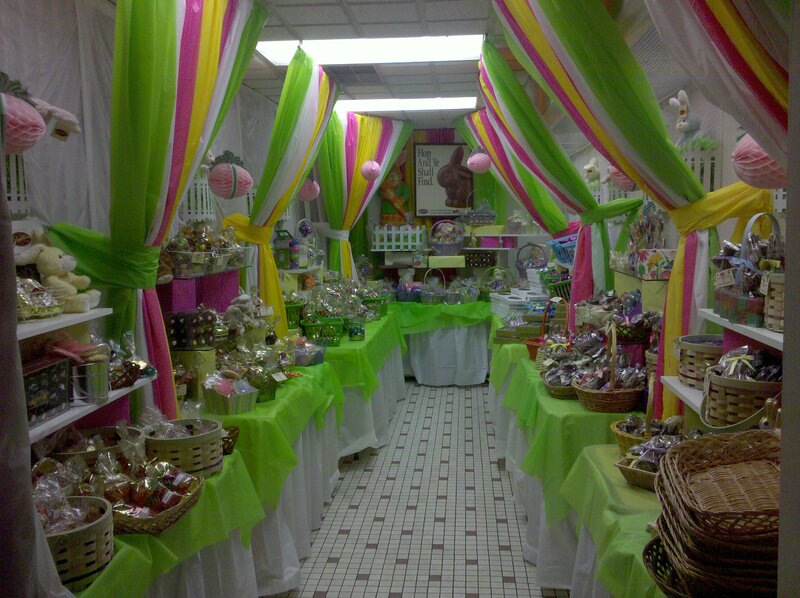 Look at the hidden Easter candy room inside Graeter's! 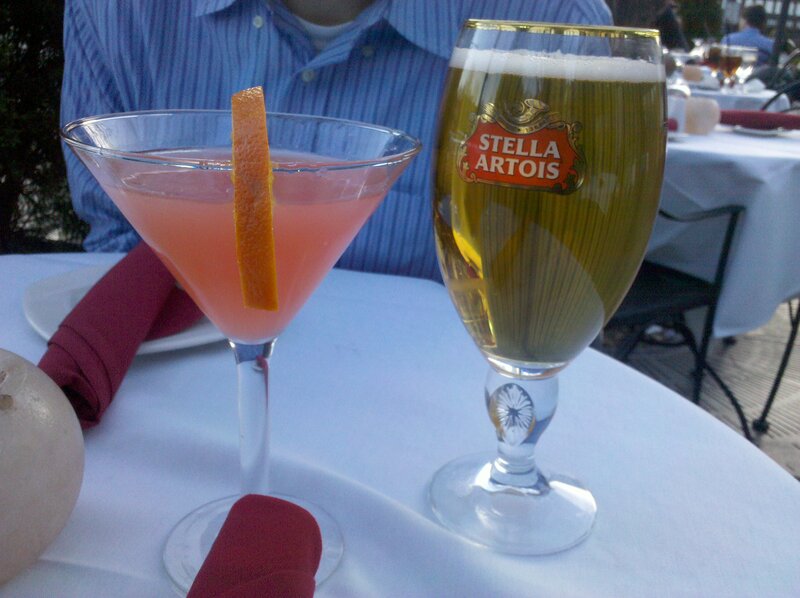 We grabbed a drink and sat outside while sipping it in the sun at a cute little Bistro also in the center of town. Anyway, it was a loovely trip. I also got a Keratin treatment for my hair. Sorry, I did not remember to take before and after shots. First they wash your hair three times to rid of any excess product. Then, they dry your hair. Then they blow dry the hair with the keratin in it (no, it’s actually not that greasy). Then they flat iron the Keratin into the hair. Phew! It’s a good think I like my hairdresser! Anyway, the blowdrying time is now like a quarter of what it used to be, and my hair soooo silky and soft! Good stuff! There was also a special on it at my salon during March so that made it more affordable. The only thing that was HALF annoying was that after the flat ironing was done, I could not wash my hair (not such a biggie) or pull it back at all (BIG BIGGIE) for 3 days. If you know me, you know I live with my hair back and LOVE to pin back my bangs. Oh well. All’s well that ends well, right? We then went to New York for Easter (Saturday morning through Sunday evening). Boo, no pics, I know! But it was a great time! So yesterday was my actual ONLY vacation day out of the entire vacay! I was able to get a TON done, including a 7-mile FUN RUN (dubbed this after my father-in-law begged me to leave the Garmin at home and just have fun) and the purchase of NEW AND SPECTACULAR Brooks running sneakers! Woot woot! Word up! I will be filling you in on these babies a little later. In other fun news, I have secured a lil’ part-time (PT) gig as instructor at a WONDERFUL College around here and am VERY excited for this! More on that later. I am excited to wear my new sneakers in. What is your method for doing so???? Happy Tuesday! Toodles! 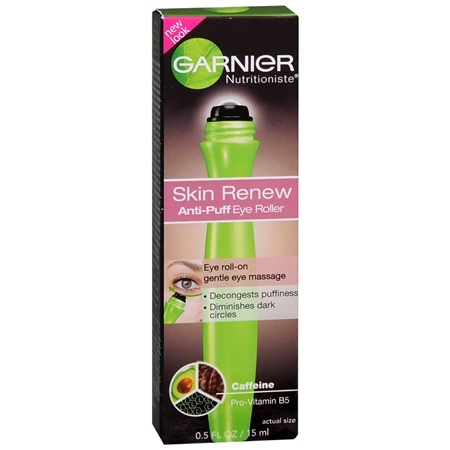 Refering to the Garnier Fructis eye roller ball that I discussed in my recent Target post, this a great product. It is an affordable and easy way to work on those “trouble areas” around the eyes. It is said to reduce puffiness as well as crows’s feet/age lines. 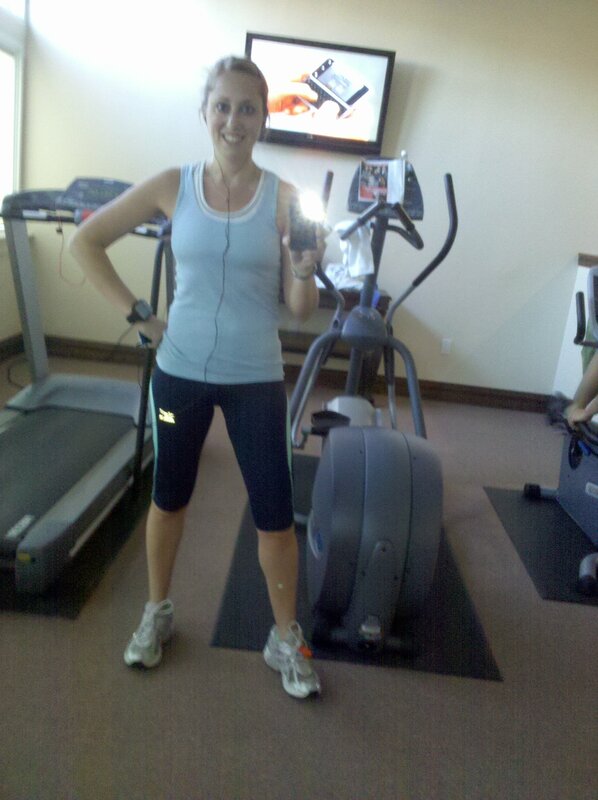 Hey guys, the big 3-0 is rapidly approaching…gotta be proactive! Here is the “official” description of the product. You can get these babies at any common drug store. Now, I don’t have “before and after” pictures from my first brief stint with this great product, but I will be posting before and after pictures this time. Basically, someone I knew and trusted stole my eye roller. How redonk, right, well…it’s baaaack! 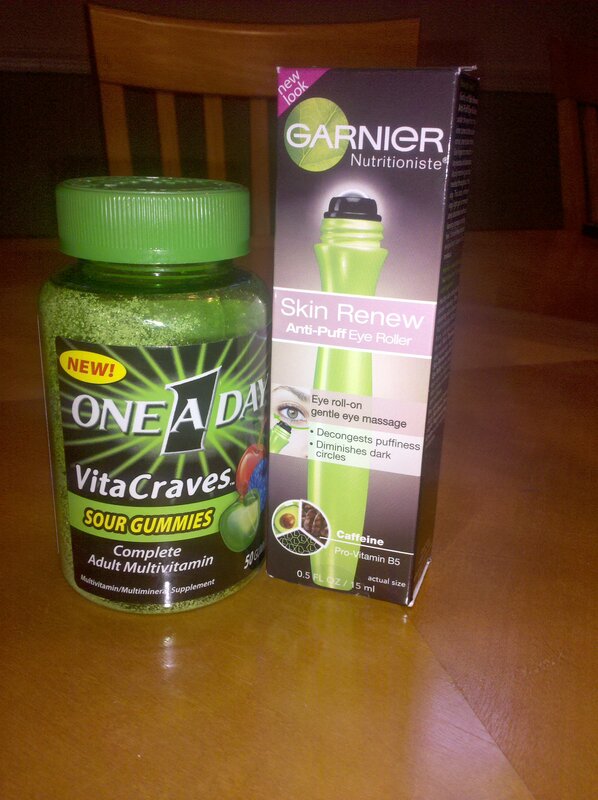 Eye roller on the right keeping company with my yummy Vitacraves! 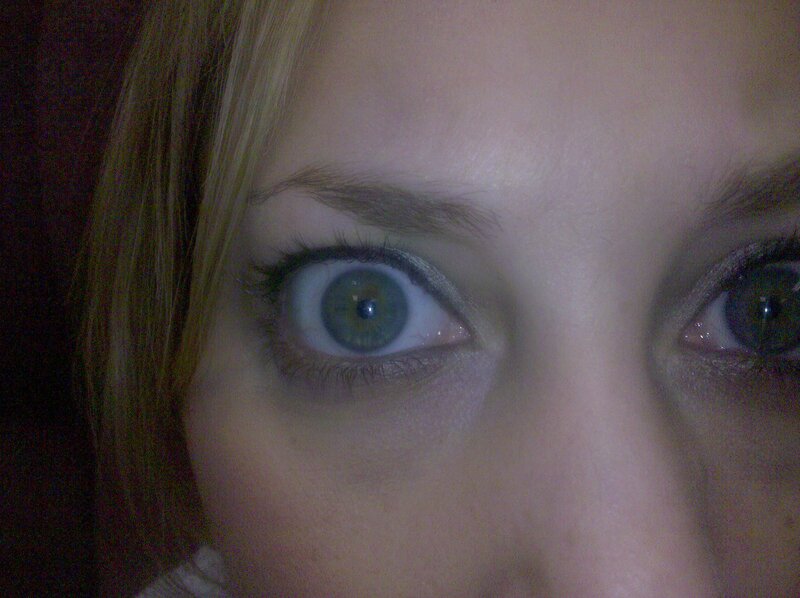 SPEAKING of eyes, I MUST share a beauty tip with ya’ll or I just would not be doing it justice if I did not! Ok, so I am not the biggest mascara fan. I mean I love the way it looks, but I am not the best at putting on or keeping it on! It definitely does not contain itself to my lashes 😉 So, for many years now, I have been getting my lashes DYED with henna. It is all natural, very inexpensive, easy and fun! I suggest getting it done at any salon around you that provides this service. It usually costs between 20 and 30 dollars but lasts about 2 months. You can choose what color (I get black, but they have tinted blue, etc.). They put it on like mascara while you are laying down, and they leave it on for about 10 mins. Then they take it off and here is what you get! Freaky picture, but you get the point! PS: my nose is SOOO not that crooked lol. I get mine done at AME salon and Spa in Wayne, PA. I LOVE it there. I will do a full review one day soon. In the Philadelphia area, you can get it done at Toppers Spa as well. If you are searching for more places, just ask them if they do “henna dye for the eyelashes.” Anyway, definitely try it out! It is PERFECT for the summer/pool- you can go completely without eye makeup and still look half awake! Or, to “drama” it up, you can coat with mascara and the look is UNREAL! Check it out. OK, toodles for now!